Given the amount of construction in federal government construction contracts, there are provisions that allow for large contractors and DOD small businesses to secure projects. There are various surety bond requirements that must be met. For example, when DOD Contracts are over the simplified acquisition thresholds, contracting officers can require prime contractors to acquire various types of surety bonds. The most common are performance bonds and payment bonds. Under the FAR, the contracting officer often requires Miller Act surety performance bonds in federal government construction contracts exceeding the simplified acquisition threshold to protect the Government’s interest. In either situation, the contracting officer must decide whether or not a construction contractor is responsible under FAR Subpart 9.1 despite the fact that the contractor can or has a surety bond. In government construction contracts the contracting officer will seek a payment bond when the performance bond is also required or if the payment bond is in the government’s best interest. 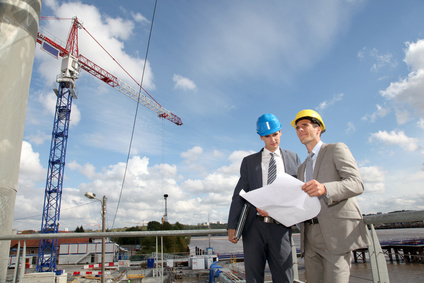 Companies must be aware that if the contract price is increased, so too does the amount of the surety bond. Government DOD contract agencies should notify the both the prime and surety when the contract price increases. There is an argument to be made on behalf of sureties that they liability cannot automatically increase with contract values increase. Payment bonds are primarily for the benefit of subcontractors’material men at specific levels. Each of the above surety bond requirements carries various solutions when problems arise. Therefore, both prime construction contractors and subcontractors should make sure they get the proper legal advice as early as possible. For additional help with surety bond issues in federal government construction contracts, please call our federal construction attorneys at 1-866-601-5518. FREE INITIAL CONSULTATION.